Dual Linear Taper 100kΩ / 1MegΩ potentiometer. 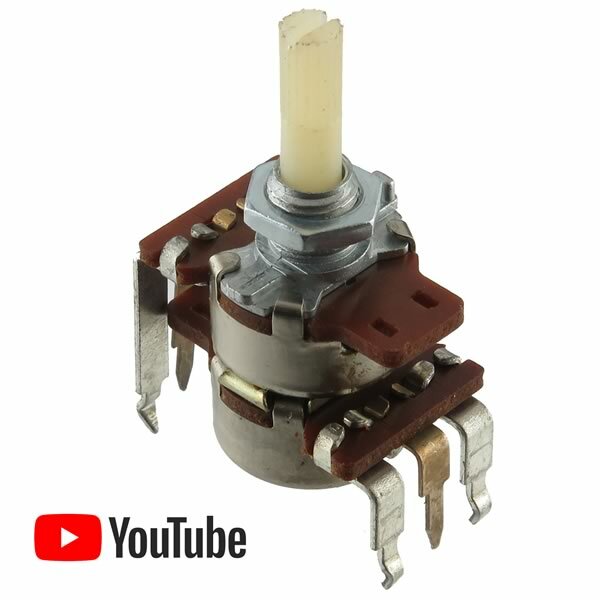 Overall size of potentiometer 0.75" long x 0.63" wide x 0.1" tall (excluding shaft and leads). Has a 0.18" diameter x 0.52" long plastic shaft with slotted end and knurled edges. Bushing is threaded x 0.34" long. Has 6 leads for PCB mounting. Includes panel mounting nut. New Old Stock (NOS).